Los Angeles – John Cena returned to host Nickelodeon’s annual slime fest. The 2018 Kids’ Choice Awards took place on Saturday at the Forum in Inglewood, California. The awards celebrate kids' favourites across movies, television, music and digital and is best known for drenching celebrities in greem slime. Slim victims included Heidi Klum, Mel B, Shawn Mendes and even the audience. Cena opened the show with an epic intro performing a medley of hits with Backpack Kid, Jason Facey and Dance Moms alum JoJo Siwa. 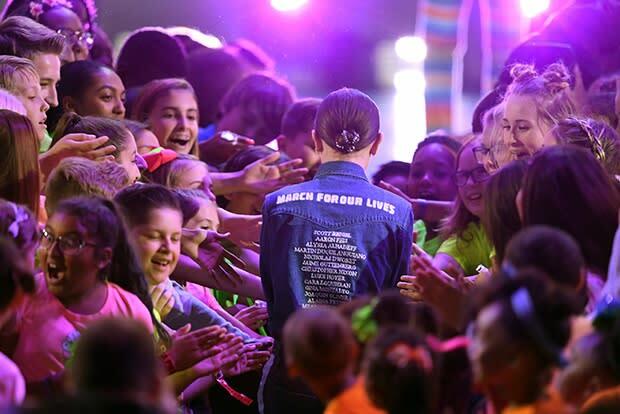 Stranger Things star Millie Bobby Brown paid tribute to the March For Our Lives demonstrations during her acceptance speech.